He was introduced by New York Republican Party Chairman Ed Cox, who is also known as President Richard Nixon’s son-in-law. 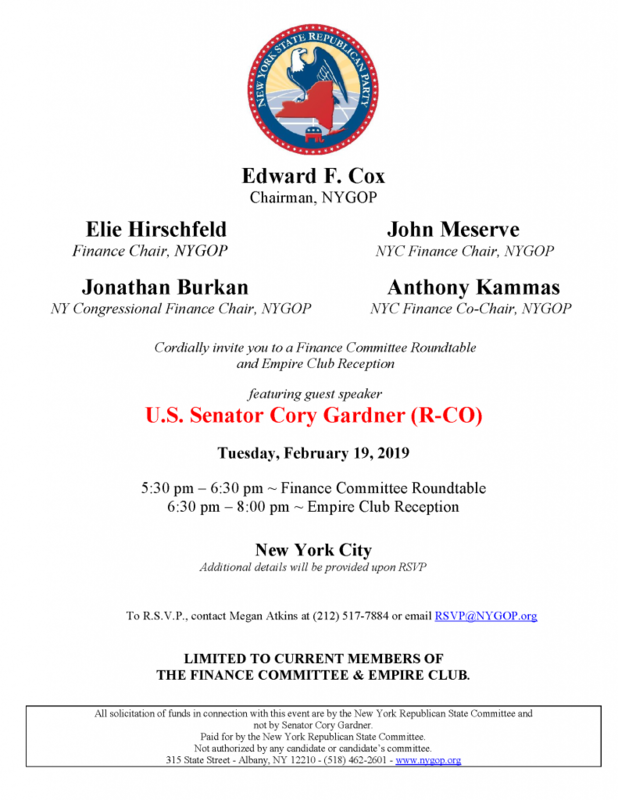 The private event was “limited to current members of the Finance Committee & Empire Club.” Annual membership in the Empire Club costs $1,000, though the price includes a pin and one’s choice of either a tie or scarf. Nice photo …. as best I can tell, 6 women (including the kneeling photographer), 1 nonwhite male. 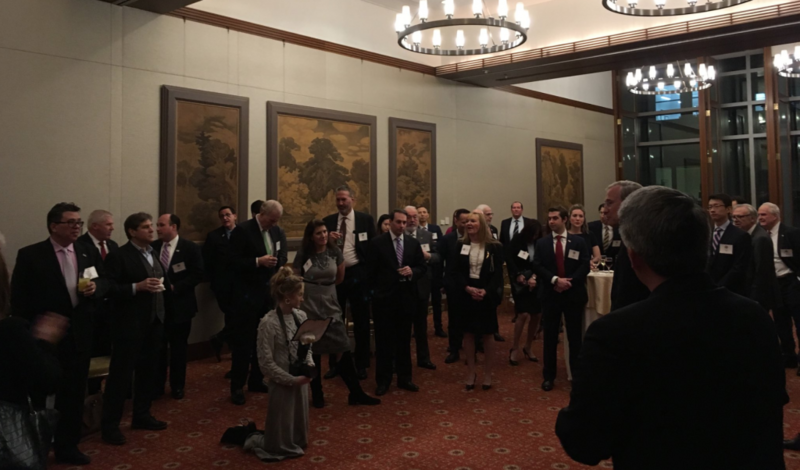 No doubt the famous New York City diversity is simply out of frame in the room. And hosted by Richard Nixon's son in law…..